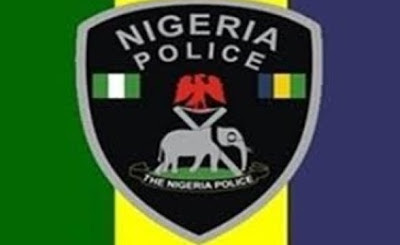 The Police in Nasarawa State have arrested three students of the Nasarawa State University, Keffi in connection with an alleged arm robbery. Briefing newsmen today in Lafia, the state Commissioner of Police, Abubakar Sadiq-Bello, said that the trio were arrested on Sunday night on the Keffi-Akwanga road, near the institution’s campus. Sadiq-Bello said that on the fateful night, the Keffi Area Command received a distress call of a robbery incident on the Keffi-Akwanga road, about a kilometre from the school gate. “Our men swung into action immediately, mobilised to the scene and arrested three suspects while others escaped. “The police are on the trail of the fleeing members of the gang and the suspects would be charged to court as soon as investigation is concluded,” he said. The commissioner also disclosed that three residents of the state had willingly handed over their arms in compliance with the deadline for amnesty given to members of the public to submit unregistered arms. He explained that the one-month deadline for people to submit unregistered arms was given after due consultation with critical stakeholders in the state. “However, with this response, we would go back to the drawing board and evaluate the situation in order to decide on the next line of action,” he said. Sadiq-Bello said that the command already had intelligence reports about locations where firearms were being manufactured in the state and would soon bring the culprits to justice. He added that in the course of daily surveillance and with the assistance of members of the public, the police had recovered more arms and arrested many criminals.